Ronald Ellis Kremer, 82, Longwood – passed away peacefully at home on September 4, 2018, surrounded by his loving wife of 50 years, Susanne Bryant Kremer and his 3 surviving children Teena (Bill) Packer, Roger (Dawn) Kremer and Jim (Danielle) Kremer. Mr. Kremer was a retired window installer, having worked 40 years in the industry for various window companies in the area. He at one time was an owner/installer for Kremer & Wallis Windows, Inc. 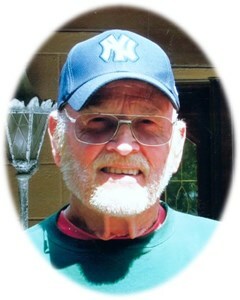 He was a life long New York Yankees fan and spent many years coaching Pony & Little League Baseball. Mr. Kremer was born in New York, New York and attended Manhassett High School and graduated from Arlington Heiths (IL) High School. He moved to Florida in 1958 with his first wife, Leanne Witt where they made a home with their 3 children in the Forest City Apopka area. Mr. Kremer remarried to Susanne in 1968 and moved with their son Jim to Longwood in 1972. Mr. Kremer, the son of the late Ray H. and Eleanor E. Kremer, was predeceased by his son Mickey and his grandson Ryan L. Packer. Survivors besides his wife and children include his brother Rich (Lynn) Kremer, Penn Valley, CA, 3 granddaughters Mimi Packer, Rachelle Castiglione & Kendall Kremer and 11 great grandchildren. In lieu of flowers donations may be made to Angels Retreat Rescue, 289 Eagle Fork Terrace, Hayesville, NC or Hospice of the Comforter, Altamonte Springs, FL. Add your memories to the guest book of Ronald Kremer. So sorry for your loss. Ron will be deeply missed. My love and prayers are with you and your family. It has been awhile since I had last seen Ron. I send my thoughts and prays to Sue and the rest of the family. He was one of a kind. Sending hugs and warm thoughts to Ron's families. We will remember the good times together, the meals and jokes shared. Ron was one of a kind, and true to his beliefs. He will be missed.